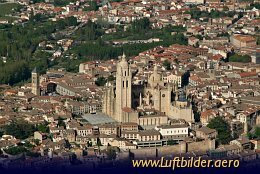 The Alcazar of Segovias history begins in the 11th century, when King Alfonso VI reconquered the city. 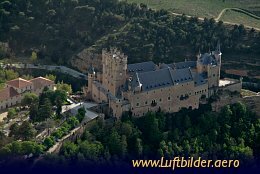 During the Middle Ages, the Alcazar was the most favourite residence of the the kings of Castile. 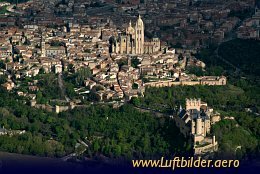 The Cathedral Vera Cruz beyond the Alcazar of Segovia was founded by the King of Spain. It is built in the common design of the Templars. The circular style reminds of the Temple Mount in Jerusalem. It is currently owned by the knights of Malta.